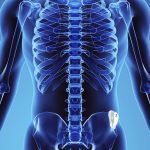 TracPatch Pushes into Hip Arthroplasty and Sports Medicine – TracPatch – Wearable Device for Post-op Total Joint Patients. 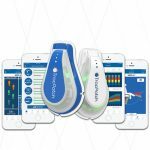 El Dorado Hills, CA, February 28, 2018: Consensus Orthopedics, developer of the TracPatch wearable device, is advancing orthopedic care through the power of connected technology. Looking to expand its product offerings, Consensus has begun development on TracPatch ACL and TracPatch Hip. Consensus is showcasing the TracPatch ACL and Hip technology at the American Academy of Orthopedic Surgeons Annual Meeting in New Orleans March 7-9, Booth 4037. 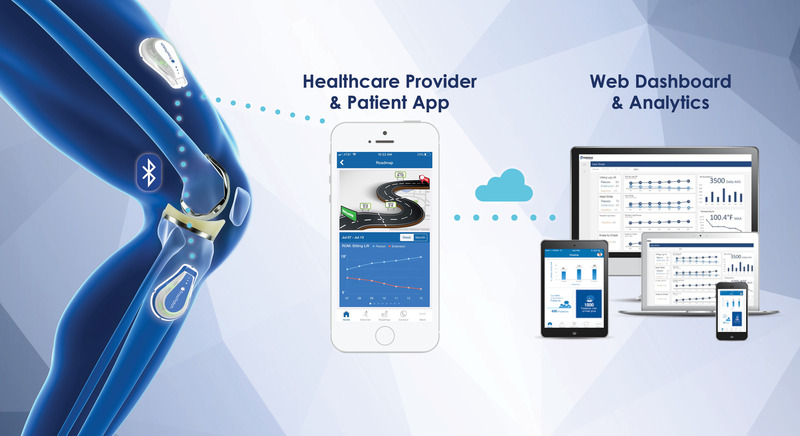 TracPatch Hip and ACL provides objective data to help healthcare providers improve decision making and reduce costs. “The Sports Medicine market has been waiting too long for the ability of the healthcare provider to watch and monitor the patient’s home rehabilitation progress. Recovering from a torn ACL or, quite frankly, any orthopedic injury is a long and challenging process. TracPatch ACL empowers both the healthcare provider and the patient with the information they need for a seamless recovery,” says Michael Droege, Vice President of Global Business Development at Consensus Orthopedics. A major problem for ACL surgery is the failure of regaining full knee motion, especially extension. ACL recovery relies heavily on patient involvement and following correct rehab protocols, especially during the early phases of rehabilitation. Using live range of motion tests, exercise reminders, and alerts, TracPatch ACL will empower the patient to follow their prescribed rehab protocol for an effective and efficient recovery. TracPatch Hip will closely monitor pre-op and post-op at home hip replacement rehabilitation. Poor range of motion milestones and lack of achieving specific activity levels can lead to a long and painful hip replacement recovery process. TracPatch Hip will provide an interactive recovery road map for the patient and healthcare provider to stay connected during the rehab process. TracPatch Hip provides objective data to help healthcare providers improve decision making and reduce costs. “My patients now have access to an industry leading device that allows me to remotely monitor the progress of their rehabilitation. The ability to use objective data balanced with patient provided subjective data would provide me a complete overview of my patient’s recovery progress and outcome” says Dr. Chris Leslie, Medical Director at Consensus Orthopedics. During the AAOS Annual Meeting, Dr. S. David Stulberg, Dr. John Mariani, and Dr. Chris Leslie will be presenting TracPatch to over 15,000 orthopedic surgeons. Dr. Chris Leslie will be presenting on TracPatch Big Data & Analytics and the ability to lower healthcare costs with this type of disruptive technology. Dr. David S. Stulberg, a pioneer in computer-assisted surgical techniques, will be presenting the value of TracPatch across the episode of care from pre-op assessments to post-op recovery programs. Dr. John Mariani, faculty member of Rowan University School of Osteopathic Medicine, will be presenting on the value of TracPatch data throughout the patient care experience.